Capital Sound announces the selection of Ryan Turner as visual designer for the corps' 2007 season. Turner brings with him nearly 20 years of design experience, along with a solid history in the marching activity. 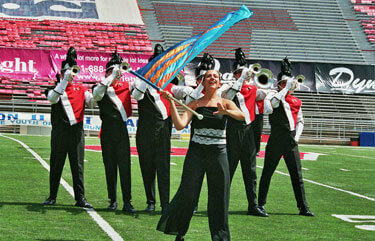 "Ryan is, in my opinion, one of the best designers in the marching world," said corps director, Marc Gofstein. "He knows what works, and he's extremely creative. Those are two strengths I look for in a designer, and he's definitely strong at both." Read more at www.capsound.org.